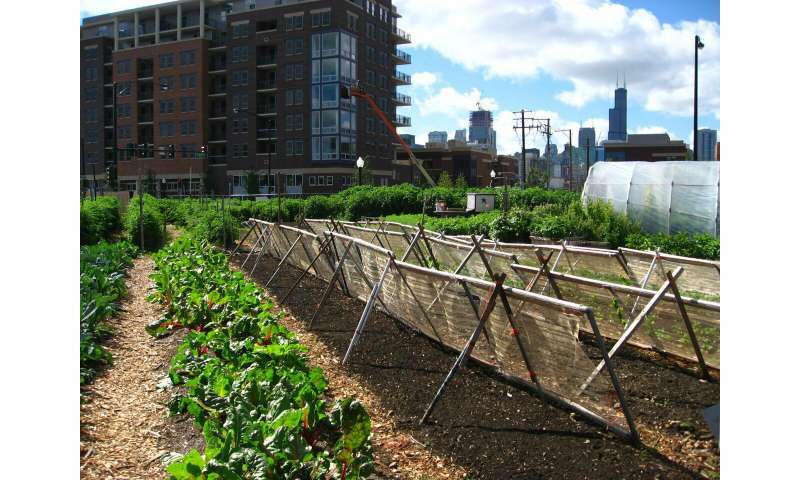 Other studies suggest that urban agriculture could help cities achieve self-sufficiency. For example, researchers have calculated that Cleveland, with a population of 400,000, has the potential to meet 100 percent of its urban dwellers' fresh vegetable needs, 50 percent of their poultry and egg requirements and 100 percent of their demand for honey. Can Oakland's urban farmers learn from Cuba? Cities such as Oakland, with neighborhoods that have been identified as "food deserts," can lie within a half-hour drive of vast stretches of productive agricultural land. But very little of the twenty million tons of food produced annually within 100 miles of Oakland reaches poor people. 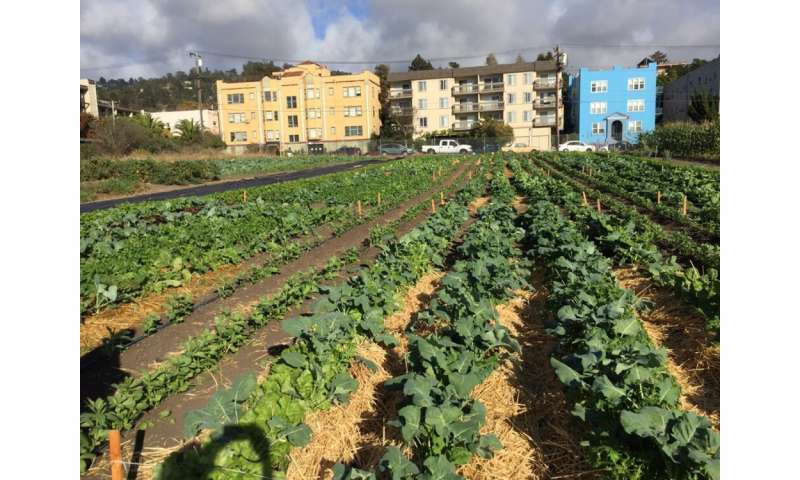 Paradoxically, Oakland has 1,200 acres of undeveloped open space – mostly public parcels of arable land – which, if used for urban agriculture, could produce 5 to 10 percent of the city's vegetable needs. This potential yield could be dramatically enhanced if, for example, local urban farmers were trained to use well-tested agroecological methods that are widely applied in Cuba to cultivate diverse vegetables, roots, tubers and herbs in relatively small spaces. In Cuba, over 300,000 urban farms and gardens produce about 50 percent of the island's fresh produce supply, along with 39,000 tons of meat and 216 million eggs. Most Cuban urban farmers reach yields of 44 pounds (20 kilograms) per square meter per year. Achieving such yields in a test garden does not mean they are feasible for urban farmers in the Bay Area. Most urban farmers in California lack ecological horticultural skills. They do not always optimize crop density or diversity, and the University of California's extension program lacks the capacity to provide agroecological training. The biggest challenge is access to land. University of California researchers estimate that over 79 percent of the state's urban farmers do not own the property that they farm. Another issue is that water is frequently unaffordable. Cities could address this by providing water at discount rates for urban farmers, with a requirement that they use efficient irrigation practices. Similarly, Bay Area urban farmers might be required to provide donate a share of their output to the region's growing homeless population, and allowed to sell the rest. The government could help to establish a system that would enable gardeners to directly market their produce to the public. A look at 377 metros—can local food product meet local household demand?